Do you want to optimize your life? Start your morning with a kale-garlic-ginger smoothie, or better yet, meditate and fast until noon. Next, hit the gym for your mixed martial arts workout and take a cold shower to activate your immune system. Then plan this summer’s vision quest: Maybe you’ll head to the jungles of Peru, where a shaman will brew you some mescaline-laced psychedelic tea — don’t worry; the intense nausea means you’re grasping new dimensions of reality. Next, read a book on evolutionary psychology to remind yourself that you’re just a social primate with genetically programmed urges. Then read some Stoic philosophy to control those urges. Take ownership of your day and soon enough you’ll be a millionaire, running your own lifestyle coaching empire. 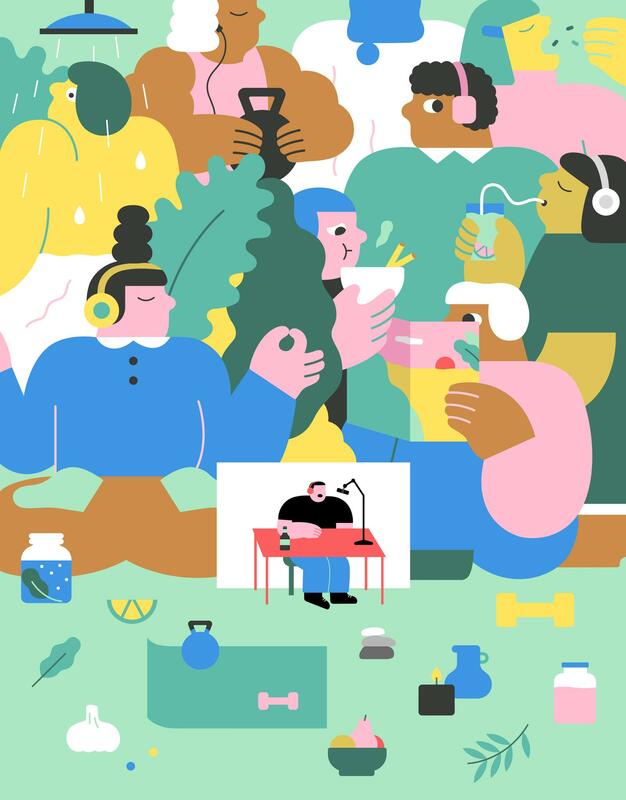 On the surface, this is the message of a new generation of wellness gurus, a network of podcasters centered on Austin, Texas, and Southern California. Yes, they are easy to mock, and their gospel of health, wealth and contentment comes with the usual moral hazards: Too much faith in self-improvement glosses over structural injustices that place real limits on what’s possible for many people. Brandie Jefferson volunteered for a clinical trial to see if intermittent fasting can help treat multiple sclerosis. Five months in, she realizes that this study won't answer that question.